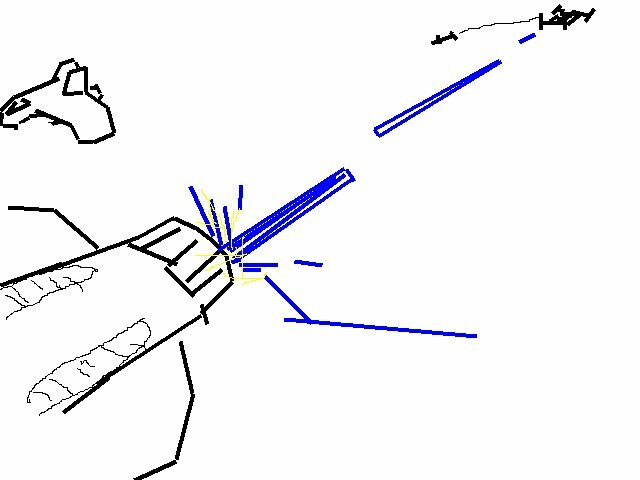 The original story board had our Cutlass attacking from behind, but the idea was that we would be shooting both the cargo ship and the Avenger at the same time. Here is the writer’s early rendition. Working from this idea I created a full, undamaged Avenger flying downward. This is basically where the cargo ship was in the original composition. 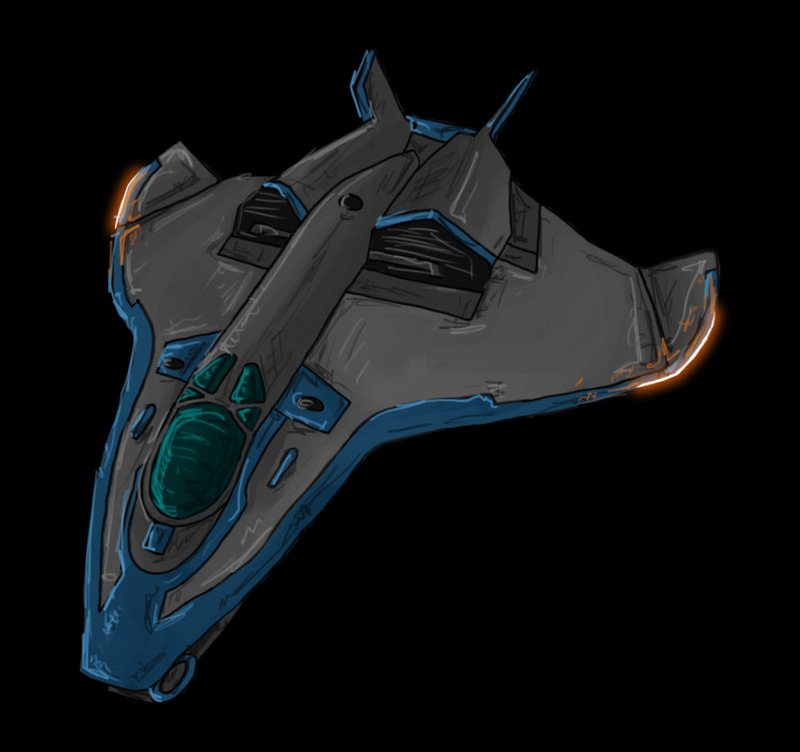 After that, I drew our Cutlass coming in from behind. We thought it would look more interesting to have our characters attacking the Avenger from the side instead of directly from behind. 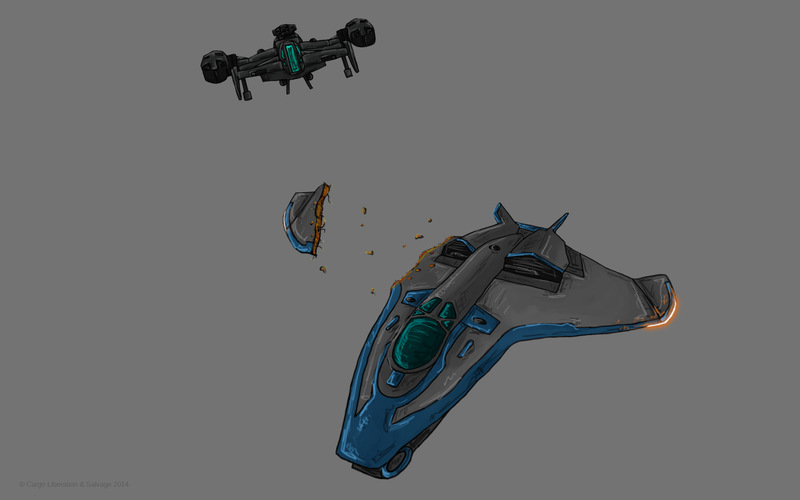 I also decided what sort of damage I wanted the Avenger to have, took a piece of the wing off, and distorted it so it was slightly tilting away from the rest of the ship. 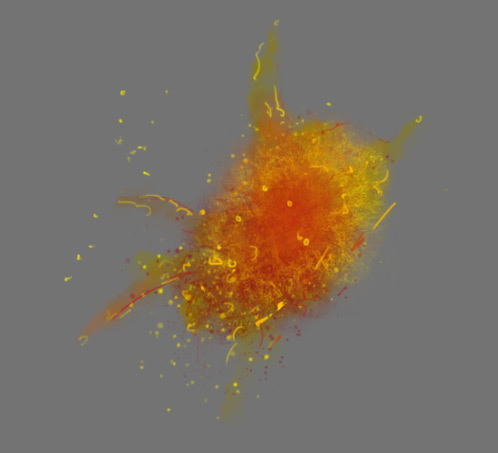 After this, it was time to design the explosion itself. I used about 3 different brushes to get the look I wanted. Then to make it fit more with the rest of the art style, I added the line work over the top of it. 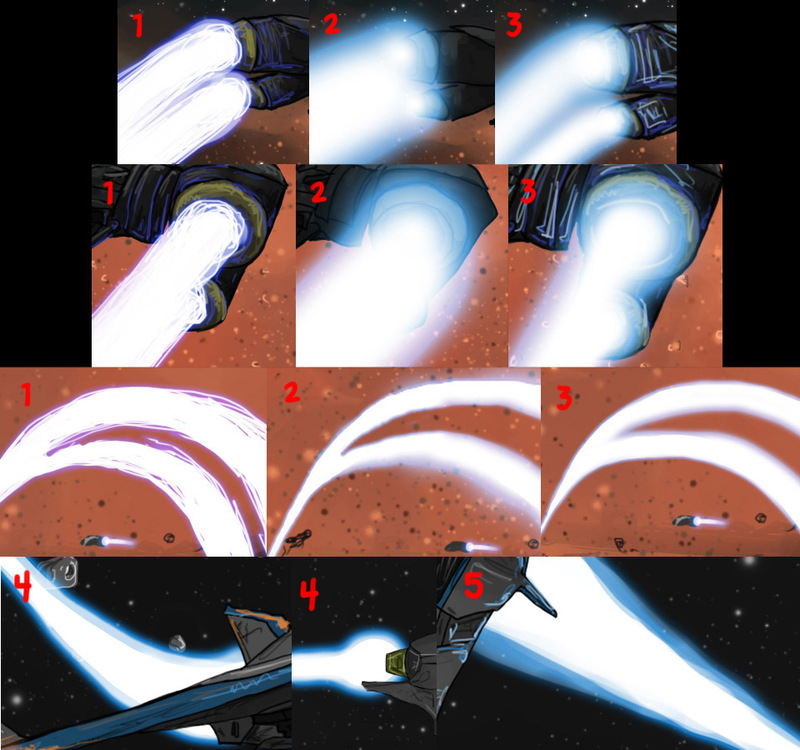 The next step was finally figuring out how to make the engine trails. 1, 2, and 3 were from panel 4. The original variations which I discussed in the making of blog – part 3. Number 4 was the next step of progression from panel 5. Number 5 is the finalized version that I used for panel 7 and continue to use still. It blends hand drawn and digital effects more than any others and I feel it matches up best with the art style. 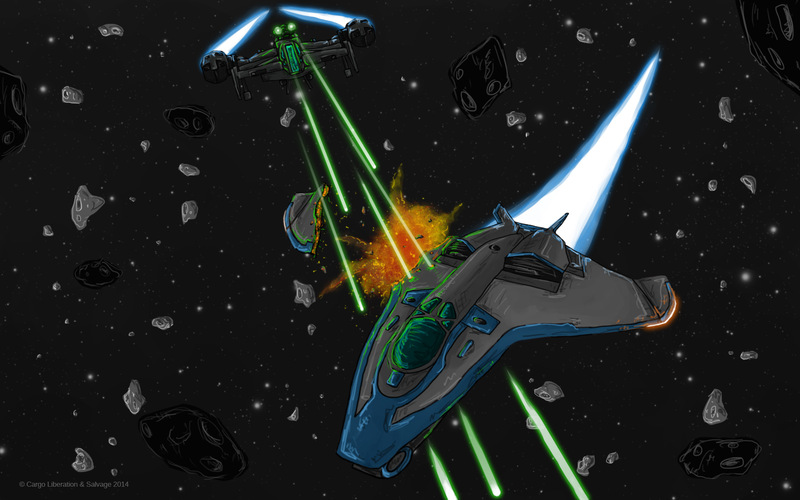 The lasers shooting from the Cutlass in this panel are made the same way. We hope you enjoyed this look at the making of Open Fire! I look forward to the artist quips about the writers art concepts,too gentle this week.